NW Armizare's military sabre class looks to the Italian and Italo-Hungarian tradition. While the latter was the forerunner of the "International System" that characterized Olympic sabre for much of the 20th century, the Italo-Hungarian system itself was deeply rooted in the military sabre practice of Italy. Many of the most influential masters that created the International System were products of the Radaellian tradition, among them Maestri Luigi Barbasetti and Italo Santelli, the former a maestro with the Austro-Hungarian Military Fencing School at Wiener-Neustadt, Austria, the latter a maestro in Budapest, Hungary. We are not a pure Radaellian school, however, and in addition to working with Radaellian texts like those of Settimo Del Frate, Ferdinando Masiello, and Salvatore Pecoraro and Carlo Pessina, we also draw upon those by masters such as Masaniello Parise. Despite the close connection between modern sport and the Italo-Hungarian school, this tradition—as we approach it—focuses on those aspects which trained soldiers, cavalry troopers, and the officer corps. The requirements of the officer corps, given the fact of the duel, meant a more complete program of instruction and thus the Italian works are, by and large, far richer and more sophisticated than other, contemporary manuals. Our program therefore falls under the purview of classical and military sabre rather than sport. Jim Tschen Emmons, our head sabre instructor, has studied sabre since 1991 and has had the good fortune to work with several well-known maestri: M. Edwin "Buzz" Hurst (at UC Santa Barbara, CA), M. Al Couturier (at UC Santa Barbara and Salle d'Armes Couturier, Culver City, CA), and M. Delmar Calvert (at Salle Trois Armes, Portland, OR). Of these masters he spent the most time with M. Couturier who trained under Maestro Joseph Vince. This master, who emigrated to the U.S. in the 1920s, was himself a graduate of the Hungarian fencing program. Jim competed in sabre as member of UC Santa Barbara's Fencing Team from 1991-3 and 1994-6, as well as in USFA tourneys in the SoCal division. 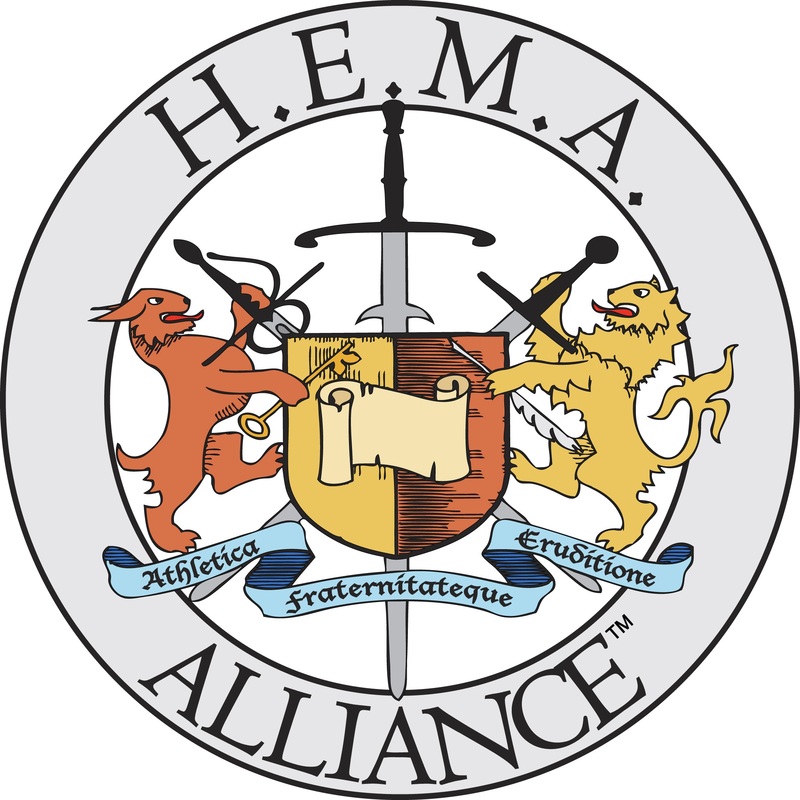 In HEMA (Historical European Martial Arts), one cannot assume that everyone coming to sabre first studied foil; they may have studied longsword, sword and buckler, rapier, etc. and thus Jim's approach to sabre adapts the proven curriculum of more traditional pedagogy to this reality. He is also a trained historian (PhD, medieval history) and relies on this background in his ongoing study of swordplay and the Italian sabre tradition. Natalie started fencing in 2004 through a local parks and rec program run by a senior student of the Davis Fencing Academy in Davis, California. In 2005 she formally enrolled at the Davis Fencing Academy and studied and competed in epee under the tutelage of Matire Simon Piftield. In 2015 she joined NW Armizare and has competed in several longsword events.